Russia and China have proposed that North Korea declare a moratorium on nuclear and missile tests while the United States and South Korea refrain from large-scale military exercises. The call was issued in a joint statement by the Russian and Chinese Foreign Ministries on Tuesday following talks between President Vladimir Putin and Chinese President Xi Jinping. The statement came after North Korea tested a missile that flew higher and longer than previous ones, sparking concerns around the world. Moscow and Beijing suggested that if Pyongyang halts nuclear and missile tests while the U.S. and Seoul freeze military maneuvers, the parties could sit down for talks that should lead to obligations not to use force and to refrain from aggression. 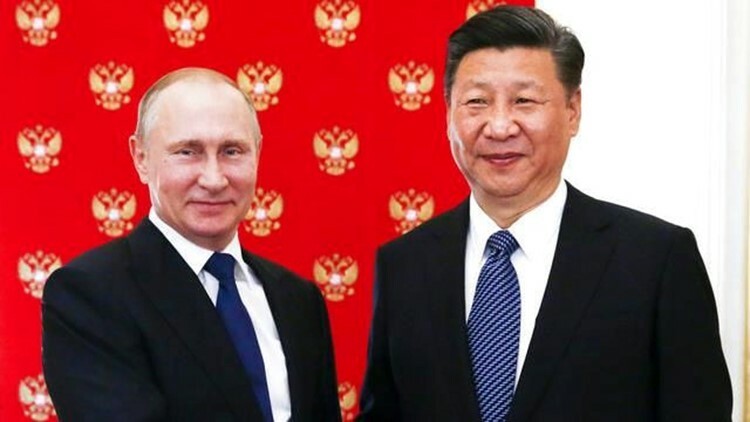 Chinese President Xi Jinping is meeting with Russia's President Vladimir Putin for talks on boosting ties between the two allies. Xi's visit comes amid a flare-up of tensions in U.S.-China ties and an anxiety caused by North Korea's missile launch. The missile flew higher and farther than those previously tested. Welcoming Xi Tuesday, Putin said they would focus on economic and international issues. Before arriving in Moscow Monday, Xi warned President Donald Trump that "some negative factors" are hurting U.S.-China relations, as tensions soared over a U.S. destroyer sailing within the territorial seas limit of a Chinese-claimed island in the South China Sea. Trump, Putin and Xi will attend the Group of 20 summit in Germany later this week. Putin and Trump are to hold their first meeting there.